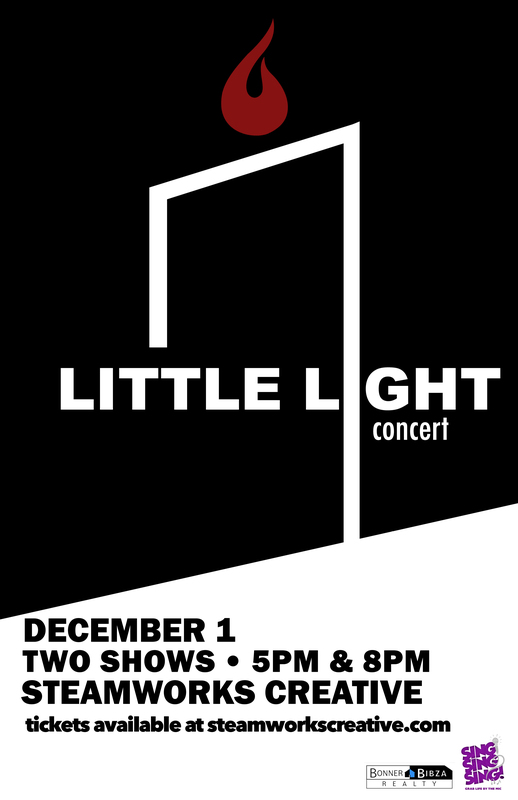 Saturday, December 1, 2018 – Two shows 5pm and 8pm – LITTLE LIGHT concert Brought to you by Sing Sing Sing and Bonner & Bibza Realty. Little Light brings strong area talent together for an evening of collaborative music inspired by the Christmas season. Artists donate 100% of their time and the ticket sales to Band Together Pittsburgh, a community based organization engaging youth with autism, using music. BYOB private event — online ticket sales pre-show ONLY!